Manchester City and Liverpool go head to head for the first time this season as they lock horns in the International Champions Cup in East Rutherford, New Jersey. The two sides are busy preparing for the new Premier League season. Don't miss our Man City vs Liverpool betting preview with betting tips, free predictions, probable line-ups, team news, highest odds, bookie promotions and no deposit free bets on the 2018 ICC! We are giving away a Premier League kit of your choice! Join the Premier League competition here! Man City were unlucky to lose to Dortmund 1-0 in their first International Champions Cup game. It was their first friendly of the 2018/19 season, so improvements are expected. The usual curtain raiser, the Community Shield, is not so far - the Citizens will meet Chelsea on 5th August. As to direct encounters against Liverpool, Pep Guardiola's men have lost all three of their meetings with Jurgen Klopp's team in 2018, including the two Champions League quarter-final tie (1st and 2nd leg). With several members of his squad on an extended leave, Pep Guardiola will be looking to give Leroy Sane plenty of minutes with the same applied to newly-signed Riyad Mahrez following his £60million transfer from Leicester City. The Spaniard will also look to give some game time to his youngsters, with Douglas Luiz, Jack Harrison, Lukas Nmecha, Eric Garcia, Brahim Diaz and Luke Bolton all expected to feature from the off. Anyway, it looks like the team is going to include players such as Joe Hart, Claudio Bravo, Bernardo Silva, Aymeric Laporte and Benjamin Mendy. Vincent Kompany is out through injury while Kevin De Bruyne, Raheem Sterling, Sergio Aguero, Nicolas Otamendi, Ederson, Kyle Walker, John Stones, David Silva, Gabriel Jesus, Danilo, Fernando and Fernandinho are not with the team. Liverpool will be looking to bounce back from a 3-1 opening game defeat in the ICC at the hands of Borussia Dortmund few days ago. Prior to that, the Reds beat 7-0 Chester in their first seasonal outing, then beat 3-2 Tranmere Rovers, drew 0-0 against Bury and managed to beat 2-0 Blackburn Rovers. Jurgen Klopp has much more options at the moment and we just have to see Liverpool as favourites under these circumstances. The Merseysiders will be missing defender Joel Matip after he picked up an injury. He has joined Alex Oxlade-Chamberlain on the sidelines while the likes of Simon Mignolet, Dejan Lovren, Trent Alexander-Arnold, Jordan Henderson and Roberto Firmino are all on holiday. £62 million signing Naby Keita is set to feature following his much-anticipated arrival from RB Leipzig, alongside Fabinho and Xherdan Shaqiri, while goalkeeper Alisson Becker is not expected to play. Mohamed Salah, Sadio Mane and Marko Grujic watched on from the sidelines last time out and they could play at some stage. Here at BetAndSkill.com we strive to provide you with the highest odds on all the International Champions Cup matches we preview, and you can find below the best prices on Manchester City vs Liverpool match winner market (90 minutes). Looking for boosted odds to maximise your profits? Visit our enhanced odds page! Pre-season fixtures are very tough to predict. With so much rotation and an unknown team sheet, shape, style of play and approach all carry a question mark! Anyway, our professional tipsters have an impressive record on club friendlies and you can find below our free predictions on Manchester City v Liverpool. Back our betting tips as singles or use a Bet365 Bet Builder tool (such as Betfair's Same Game Multi or BetVictor's PriceItUp Builder) to place all these picks in a unique bet. Wanna win £1 million? Try the new Paddy Power prediction game Beat The Drop! Start betting on the new football season without deposit! Visit our no deposit free bets page, receive tons of completely free bets and combine them with our predictions on Manchester City vs Liverpool! "Man City vs Liverpool predictions, betting tips, lineups and odds (ICC 2018)"
50% up to £50 (Bonus Code MB50) + £5 every week with Acca Club! 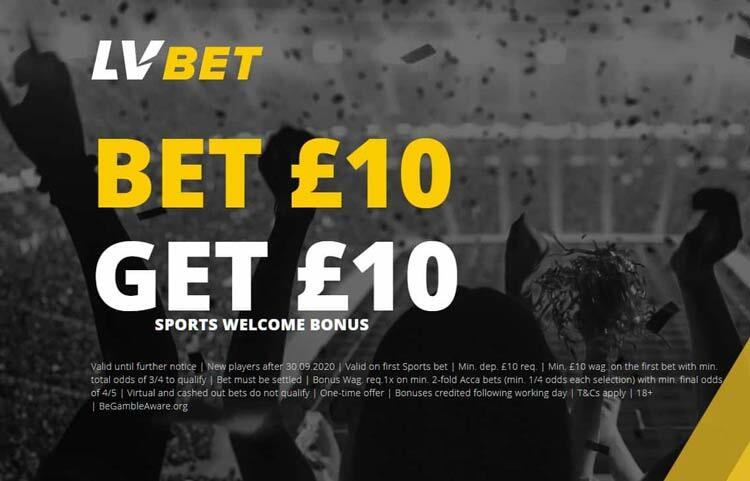 Ladbrokes 1-2-Free Betting Tips: Win £100 Cash - Free To Enter! William Hill Lucky 7 FREE Tips and Predictions. Copy & win! Scoop6 Tips & Predictions. Copy and Win!